A simple to construct, all sheet design that builds into a great flying beginners model with the âflavourâ of the original full size aircraft. A superb kit for kids to have hours of fun with minimal effort. 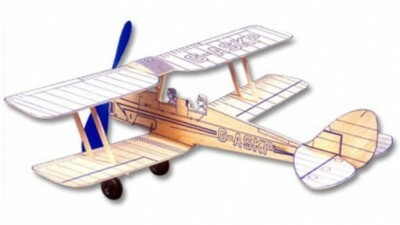 The kit includes: Printed balsa wood panels,ready to cut out. Propeller assembly & rubber motor and easy to follow building and flying instructions. Adhesive is not included in the kit and will need to be purchased separately. Suitable for beginners 14 years upwards.